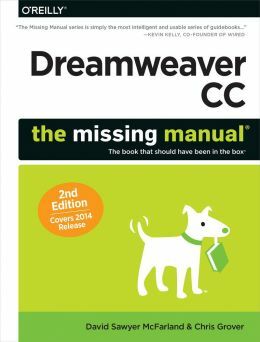 Dreamweaver CC comes packed with features and a new, online-only home, but it still doesn't include a printed guide to working in the cloud or tapping the program's amazing features. That's where this Missing Manual comes in. With its jargon-free explanations and hands-on tutorials, you'll learn how to create every kind of website, from single-purpose static sites to interactive, multimedia-driven web dynamos. 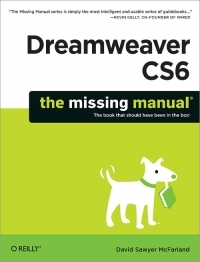 Dreamweaver CS6 is the most capable website design and management program yet, but there's no printed guide to its amazing features. 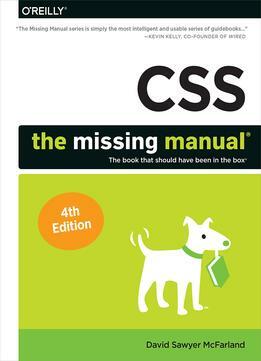 That's where Dreamweaver CS6: The Missing Manual comes in. You'll learn to use every facet of this versatile program, through jargon-free explanations and 13 hands-on tutorials. 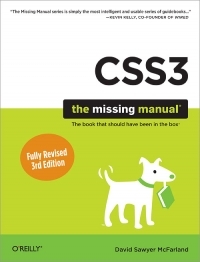 CSS3 lets you create professional-looking websites, but learning its finer points can be tricky - even for seasoned web developers. 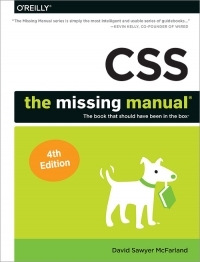 This Missing Manual shows you how to take your HTML and CSS skills to the next level, with valuable tips, tricks, and step-by-step instructions. You'll quickly learn how to build web pages that look great and run fast on devices and screens of all sizes.